STONEVILLE – Farmers and consultants came to the 2013 Rice Field Day to learn the latest rice growing recommendations, but they also witnessed the industry’s support of Mississippi State University’s research program.  MSU hosted the annual event on July 30 at the Delta Research and Extension Center in Stoneville. Following the keynote address by Andy Morris, a rice buyer for Mars Food, MSU received a $50,000 check from the company to support rice research in the state. 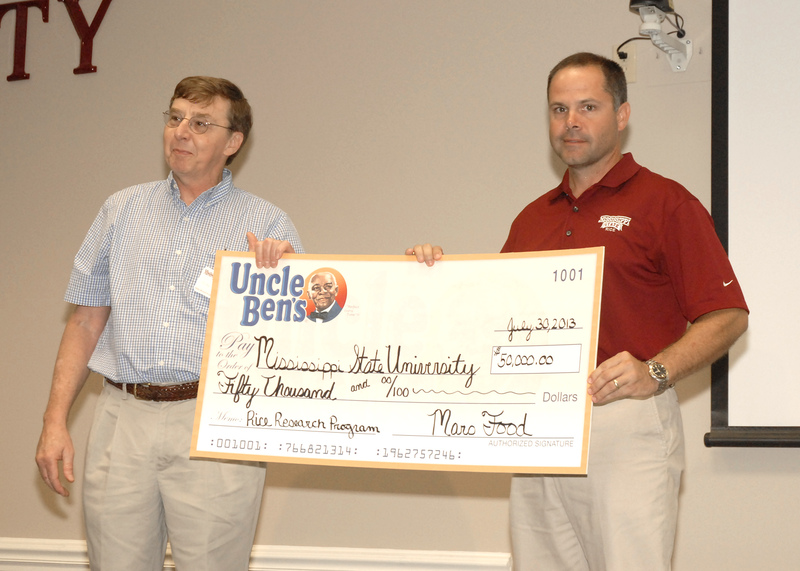 Tim Walker, a researcher and rice specialist with the MSU Extension Service, accepted the ceremonial check on behalf of MSU and the Mississippi Agricultural and Forestry Experiment Station. “MSU will make the most of this investment in our rice research program,” he said. For decades, MSU has conducted an active rice breeding program both to develop new varieties and to test varieties developed by other universities and companies. Scientists at the station also study market issues and other factors that impact rice agronomy. Mike McCain, research and development manager for Mars Food, said the donation recognizes years of rice advancements that can be attributed to MSU research. Mars is the parent company of Uncle Ben’s rice, which has had a plant in Greenville for more than 30 years. “We want to maintain a strong relationship with Mississippi State and show our appreciation for the university’s efforts in developing new varieties and addressing other issues related to rice production,” McCain said. Following the check presentation, growers and consultants boarded trailers to tour research plots on the state’s largest Experiment Station. Scientists at the Delta station are studying irrigation, weed control, disease resistance and other issues related to growing rice.